Growing up stinks! Of course, you already know that. You’ve already went through that whole process. They tried to make you stop playing with toys and they tried to make you get a real job. They won’t let you do battle with Neverland pirates anymore. They won’t even let you pretend that you have the power to fly! We say nuts to that. Maybe it’s time to go back to the simpler times when you were younger. Maybe it’s time to cut your inner Peter Pan loose! That’s right. You read that right. You can harness your inner Peter Pan this year. You can shirk those social expectations and pretend that you’re just a Lost Boy living in Neverland, even if just for a day! All you need is a thirst for adventure, a nimble sword arm, some happy thoughts, and the right outfit to tie it all together. 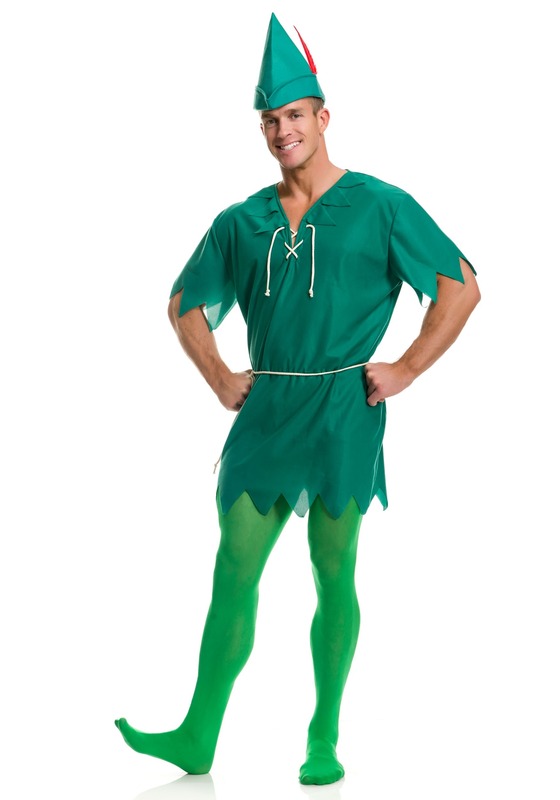 This men’s Peter Pan costume should get you into a youthful spirit! This simple costume is based on the iconic storybook character and comes with a top, tights, belt, and hat. The tunic-style top is a forest green color and has scalloped edges on the sleeves and around the neck. It has a rope tie in front as well. The tights are light green and stretch to fit. The white rope belt ties around the waist and the pointed greet hat even comes with a feather. Make sure to conjure up some happy thoughts when you wear this men’s Peter Pan costume. They might not actually get you airborne, but they may just help you tap into your inner child to enjoy this classic fantasy outfit. Make sure to bring a toy sword along with you, since you never know when you’ll bump into that nasty pirate, Captain Hook.